Reality Squared Games revealed today plans to release its newest free-to-play browser game, called Nova Genesis. The first Alpha test of this title, developed by Feiyin Games, is set to open on Thursday, December 18th. 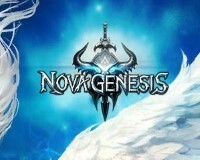 Nova Genesis is a classic MMORPG with 2.5D graphics, set in a rich fantasy world infused with a touch of sci-fi. The game features three unique playable classes as well as six distinct races that make up the mobs, bosses and NPCs within its world. As well as a strong Hero system, Nova Genesis offers elaborate skill combos, challenging PvP/PvE and a robust character-enhancement system that aims to provide an immersive playing experience. Nova Weapons: Collect these powerful weapons by completing the main quests in each chapter. Infuse them with different types of Nebulite for invaluable attribute bonuses. Squad Rush Skills: Use the keyboard to activate your Hero’s hidden skills and deal ample damage to your foes. Zenith: Gather your resources and interact with friends and foes in your home base. Party Dungeons: Join two other players and their Heroes in challenging dungeons such as Labyrinth and Dreamscape. Phase 1 of Nova Genesis’ Alpha test will be launched on Thursday, December 18th at 9:00 EST. Feedback obtained from players of this early test will be gradually implemented during the following weeks in preparation for Phase 2. Further details are available on the game’s pre-launch page.